Combined, these expeditions, research, and publications gave rise to the view of society as an ‘organic living body’, where the individual is indistinguishable from the whole, and whose governing laws must evolve on a steady course that can only be managed by government using ‘scientific’ methods…or ‘political science’. 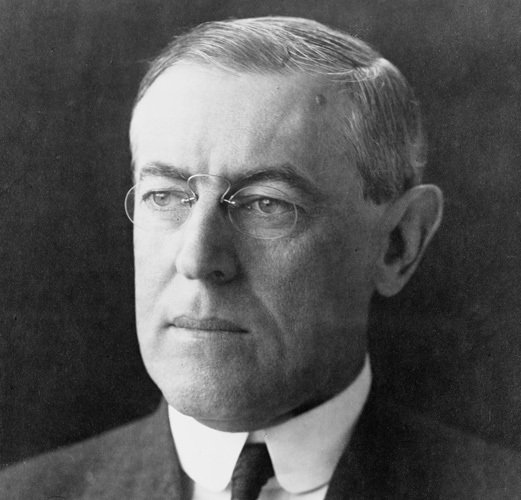 Woodrow Wilson, a professor of political science, was the first Ph.D. to run for and be elected President, promising an approach of efficient, ‘scientific management’ of government, based on the principles of societal evolution, or what is now termed ‘social Darwinism’. Mauptertuis was an atheist who used evolutionary speculation, ‘blind destiny’, and ‘chance’ to refute the existence of God or purposeful design of nature. At the same time, Emich Vattel was writing about ‘natural law’, and the Law of Nations, which seems diametrically opposed to this view. Charles Darwin conducted field based research aimed at proving his father’s ‘speculation’, and wrote about these theories and findings in the Origin of the Species (1849). …by the general will of society and by the particular facts, circumstances, and history of a people. Subject to no fixed limits, eschewing belief in objective justice, the state follows a path of incessant growth and flexibility, limited only by the ever-changing needs of society. As dictated by the laws of progress and evolution, the state moves society along an inevitable ascent. By application of “scientific” expertise and rationalizing administration, government directs this growth. Expressly left behind is Madisonian constitutionalism and its notions of natural rights, limited government, the rule of law, prevention of faction, and vigilance against the possibility of overly centralized and unaccountable government. The origin of the ‘living constitution’ –by which the constitution means what ever the ruling elites say it means at the time, had its roots in Darwin. It is the ‘progressive’ component of American jurisprudence seeking to shed the Constitution’s limits on government. The application of Darwin to the change of the constitution began in earnest with Woodrow Wilson. 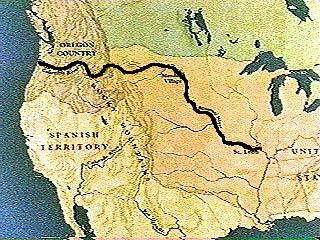 J efferson’s purchase of the Louisiana Territory led to the expedition of Lewis and Clark from 1804-1806, traveling upward through the Missouri River lowlands, through Montana, and then eventually to the Pacific Northwest where the (now) Columbia River enters into the ocean. 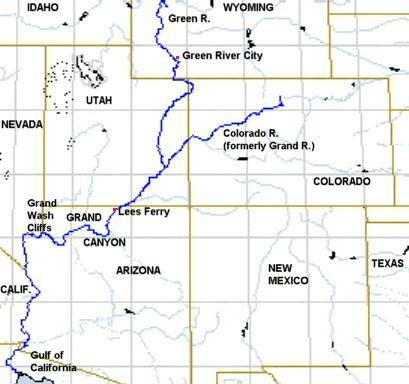 The volume and quality of scientific information collected and observed by Lewis and Clark increased the stature of science considerably, as did the journey of John Wesley Powell in 1830. “Science” was able to ‘provide an explanation for’ the geology of the Grand Canyon, land use; the biology of many new plant and animal species; forests and forest health that challenged man’s individuality, a divine creator, and a purposeful design. Rather than the “Great Flood” occurring over days or months, geologists began to change that time scale by millions of years. The inventory and acquisition of lands with great forest reserves ushered in a period of ‘scientific forest management’, and more importantly that large natural resource assets like forests would be allowed to evolve based on a scientific prescription for that evolution. That management could only be done by the federal government for the ‘benefit of society at large’. In 1847 Karl Marx published “The Communist Manifesto”. In light of the development of the Darwin ideas, the notion of the state as an organic entity that could be managed, it is not surprising that Marx analyzed ‘society’ as would a scientist picking apart a diverse pile of objects. The forces and actions among factions of this living organic entity were to be managed by an elite, and its overall direction determined by this elite for the benefit of the society as a whole…the individual being only part of the collective. “it is perhaps just dawning on five or six minds that physics, too, is only an interpretation and exegesis of the world (to suit us, if I may say so!) and not a world explanation; but insofar as it is based on belief in the senses, it is regarded as more”. …akin to an intellectual tsunami that shaped, developed, and still informs, albeit in evolved modalities, the dominant understanding of the American constitutional order (or lack thereof) held by the judicial, academic, and political classes. Watson marshals the speeches and writings of Theodore Roosevelt and Woodrow Wilson, and the jurisprudence of Justice Oliver Wendell Holmes, Jr., among others, as evidence for his claim of the pervasive influence of social Darwinism in the intellectual cocktail that is progressivism. As Wilson demonstrates, the progressives sought to move the energy of government from the democratic branches to the bureaucracy. Insulated from politics and popular opinion, federal bureaucrats would engage in the scientific administration of government — the overriding ethos of progressivism. “Wilson believed that the state was a natural, organic, and spiritual expression of the people themselves”, according to Jonah Goldberg, “and that Government falls under…the [Darwinian] theory of organic life”. Thus the ever-expanding power of the state was considered a natural part of the evolutionary process. The truth is, Wilson viewed the rights in the constitution as ‘abstract rights’ that were difficult to execute. This is where the progressives demand that the individual sacrifice his individual rights to the rights of the many, seeing his existence only in relation to the many. That existence, and its natural evolution is to be scientifically managed and guided by the government. This is the classic “statolatry”, or ‘state worship’ view of politics. The term “Statist” would apply today. WOW, Dr. Kate, what a great article! I thank you from the bottom of my heart for the time and work that you put into these very educational and philosophical pieces that you write. I had asked you before and you answered me very well how they associate progressives with Darwin. I think their are kind of giving him a bad rap. In essence, didn’t we do as much of an atrocity to the Native Americans when we settled here as Hitler did to the Jews? That article on the first related post is very good. I’m going to read the others. I usually don’t take time to read those but I should. The shrewd manipulation of the science by the politicians is what is giving Darwin a bad rap. Yes, we did massacre 50 million natives on this continent, but not under the guise of Darwin. WE did that under the flag of manifest destiny, as conquerers. Does the fact that we did it as conquerors make it better? No, and this article is not about that PharmD. Its not about who is better or who is not; its about the philosophical underpinnings of the theft of our constitution. There of course were ‘ethical disruptions’ of the American mind…slavery, indians, etc. This darwinism and science is just one piece. Fantastic article. It is important that pieces like this get written, viewed and comprehended. We must re-educate society and show how party politics is done. It is now all about understanding our individual rights and liberties and then enforcing them. Thank you as always for being one of the leaders in the charge of understanding our history and acting on it. Thank you for your comments, but it doesn’t seem that you read the article. I am talking here about how liberal progressives brought fascism to America, and communism. Recognize also that ‘liberal democrats’ were the party that terrorized blacks and voted against civil rights. The ‘war on X’ is a symptom of the bigger issue which is unconstitutional governance. This is rather amazing and a lot to chew on. Thank you for putting it together. I am not a Darwinist/Evolutionist so it is particularly intriguing to me. I wonder what Darwin would say about applying his theory to society as these elitists have done?